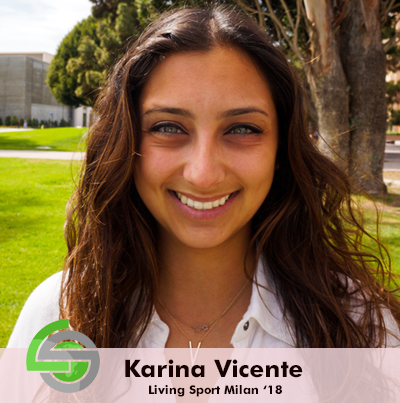 It wasn’t until my trip to Milan, Italy with Living Sport that I got to see social media being utilized in an entirely different capacity. Having no prior knowledge of the Red Hook Criterium - the international cycling race series we’d be working for - I took to the internet like any good millennial would do and found an abundant amount of content and information about the race. I began to learn names of riders, different cities, types of bikes, etc. This is when it became clear to me that social media has its own language that transcends generations and even continents, making it easy to share content across the world and connect with others on a professional level. 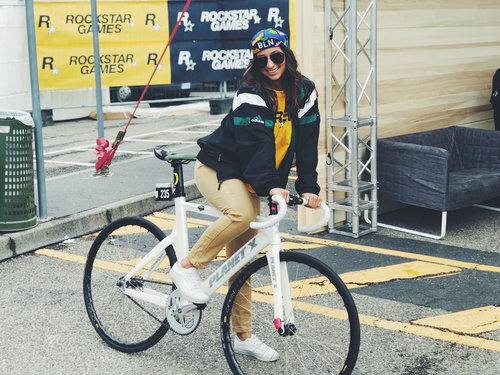 Leading up to the Red Hook Crit, I knew I would have the opportunity to choose between various roles that interested me and would provide me with a real-world sport business experience. Although I didn’t pick social media as my top choice, I was ecstatic to find out that I was chosen to work on the media side of the event, putting me directly in the center of the action. 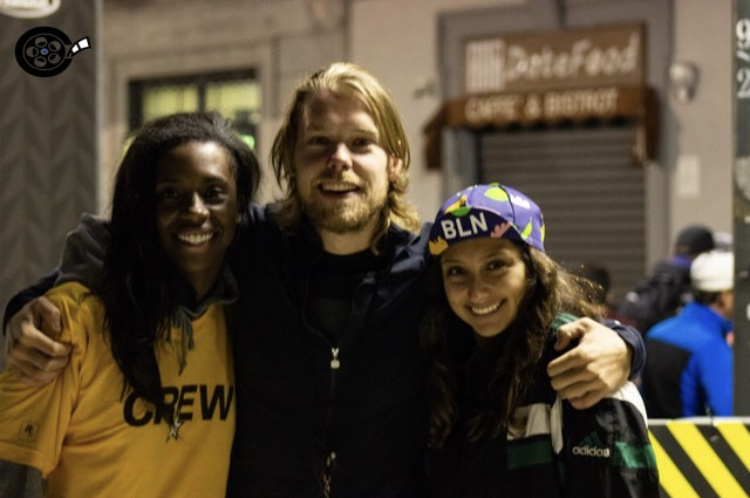 The day before the actual race, another Living Sport teammate and I met with Red Hook Crit Milano’s social media coordinator, Brian, who was just as enthusiastic as we were about the opportunity to produce Red Hook Crit’s first-ever live Twitter feed. Not taking this honor lightly, I jumped right into asking questions about the race as well as taking time to get to know Brian personally, seeing as we would be working closely over the next two days. We journeyed together via metro to the Velodromo Vigorelli (an adventure in itself), which was located a few miles from the race course. I had never seen or heard of a velodrome before, so when we arrived, I was in awe of the steeply banked track that riders from all over the world were bolting around at high speeds. In this moment, I immediately saw how global the sport of fixed gear cycling truly is. I instantly became hooked on intently watching the athletes and even more curious about the inner workings of a sport I was still learning so much about. After being given access to the Twitter account, another big honor, Brian shared that until it was time for the press conferences, we had creative freedom to capture and post interesting things happening around the velodrome and on the field as riders continued to pour in for registration. While tweeting and taking pictures, I enjoyed being introduced to riders from Brian’s hometown in the Netherlands as well as meeting other important directors and race officials. I found myself almost star struck being among these professional athletes, some even former Olympians, who behaved so casually around the other riders they would be competing against in less than 24 hours. It goes without saying that I was fascinated by the riders’ pre-race preparations as well as the men’s and women’s press conferences which included riders projected to finish at the top come race time. Early the next morning, race day was upon us. My Living Sport teammates and I were ready! I couldn’t wait to see the athletes pour their hearts out onto the course, following their adrenaline-building day at the velodrome. Shortly before the start of the first heat, I was taken to a blocked off area that resembled an outdoor press box, positioned at the start/finish line of the course. This was where all of the media magic happened and I had a front row seat to all of the excitement. It was decided that I would tweet from a laptop, my teammate would use her phone, and Brian would be our race expert, quickly relaying what he saw during the races so that we could translate it into a post for people to follow. Our little team of three was ready to go live! For me, the most interesting part of live tweeting was our ability to be creatively free to write and post what we wanted in order to capture the tone of the race. We were given the race hashtags and constantly sent professional photos that we could utilize in our posts to build excitement for the final races at the end of the night. We even got to share our rapid social media experience with some other Living Sport teammates - they played a major role in providing us with lists of rider names and results as soon as the heats ended to ensure we had the correct statistics and winners. I was completely enthralled by the fast-paced environment and rate at which we were tweeting because it was something I had never experienced before. Even a little rain could not stop the smooth operation we had in motion as I sat with a t-shirt covering my laptop while still posting every few seconds as the sky began to open. With all of the commotion happening in our area, the most fulfilling part of working on this social media platform was taking a second to see the thousands of people actively looking at and interacting with our posts. We could see the number of people being reached rise exponentially throughout the race and we enjoyed the positive feedback on our performance. I got so caught up in the content we were sharing that I became personally invested in the riders who I had previously met and wanted to do well in their heats. I found a new appreciation for the sport of cycling, and for the fans that showed me a new, burning kind of passion. When I first heard “social media” as my job title for the Red Hook Crit, I wasn’t sure what to expect. Little did I know that Twitter as a live platform would be so impactful for those following the race from home, wherever that home was in the world. Social media has become such an international language that it is easy to understand why it has the power to bring a whole community together without being even remotely in the same physical area. 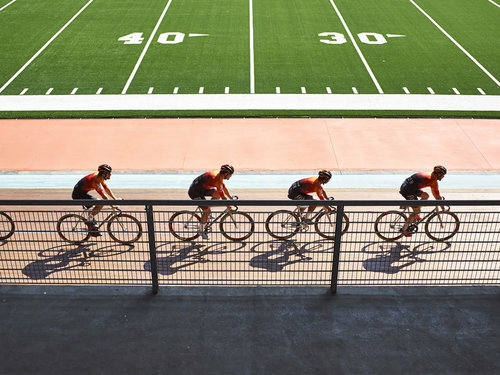 Because fixed gear racing and cycling in general fall into such a widely international category, it makes sense that in order to successfully cover the action and create buzz around such a large event, one needs to utilize a platform that can effectively tell the story and is easy to use. I now have a whole new appreciation for the power of social media -- a language I once thought was selfish in nature.